Which of these resonate with you as an educator? Thinking back on my childhood, my most memorable moments were in the kitchen with my mom or in the garage or outside with my dad. We were always making and doing things. I clearly remember making “potions” in the crevices of large rocks in our front yard when I was no more than 3 or 4 years old and baking and decorating cakes by five years old. My dad has about every tool one can imagine and my mom is not afraid to tackle any craft or baking challenge. We were encouraged to create, tinker, imagine and dream. You could often hearing one of my parents saying, “old man can’t is dead,” meaning that we were not to give up easily. I truly love learning and take advantage of every opportunity to do so, even being accused of being “addicted to learning.” This blog is meant to be a celebration of learning and failing (first attempt at learning). So here is how D-HIVE came about. The maker culture continues to grow and be reborn throughout the world. As a digital literacy coach charged with supporting teachers with the transformational use of technology in classrooms I frequently struggle with how to bring maker culture and maker spaces to my school. During a brainstorming activity last spring Chris Muller and myself were challenged by Memo Leal to think bigger than a “maker space.” Memo said something to the effect of maker spaces not being that innovative of an idea anymore and that we needed something that made our maker space different. All afternoon I could not stop thinking about his challenge to come up with a different, better, more interesting idea. Later that afternoon the idea of a bee hive came to me. I was struggling with the limitations of lack of an open classroom space for locating a maker space, as well as limited funds for the technology needed to fill the “maker space.” I keep thinking of the hive idea and remembered speaking to a bee-keeper who told me that often he would take his hives to farmers’ lands. His bees went where they were needed. That’s when the idea of a mobile maker space came to me, much like a bee hive being taken where needed, when needed I wanted something mobile so that students were not just confined to one place on campus for creating. We would create something that teachers and students could use to turn our entire campus into a true learning lab. I had also been reading about the D-School at Stanford at the time and I knew that I wanted to find a way to incorporate design thinking with maker spaces. Through a series of WhatsApp chats I began to share my idea with Chris and he got excited about it as well. Ideas were flowing and the D-HIVE was born. 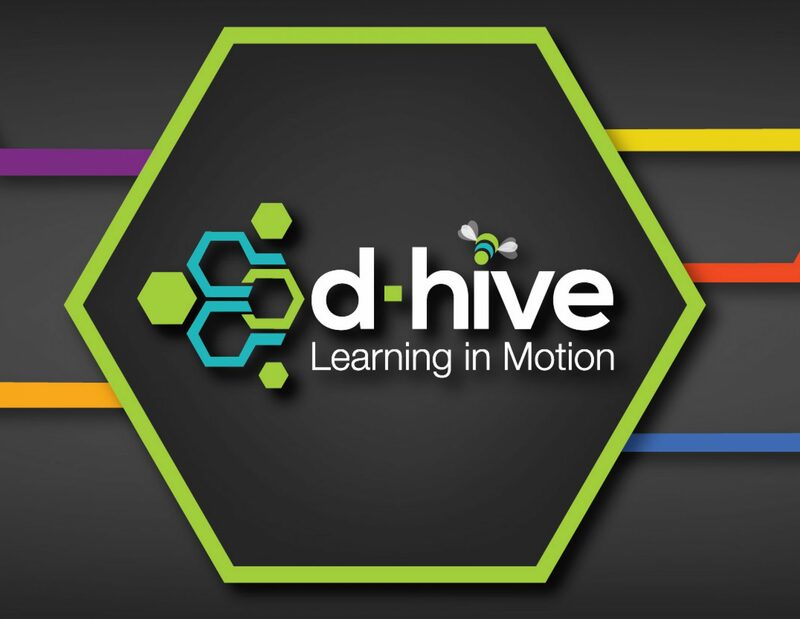 Through this blog I will delve deeply into the D-HIVE philosophies as well as physical models while sharing the processes used at my school to bring the D-HIVE idea to life.